Our third grade Fry words resources come color-coordinated in a bright yellow. 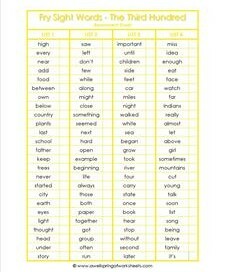 You’ll find the list of the third 100 Fry words and a matching assessment sheet. 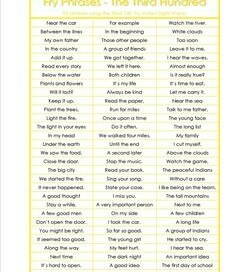 Have the kids read the words from the list while you track their progress by checking off the words they know on the assessment sheet. The Fry phrases – the third 100 – uses words from the third grade list in common phrases used in everyday language. We have flash cards for the words on the Fry list and the phrases. 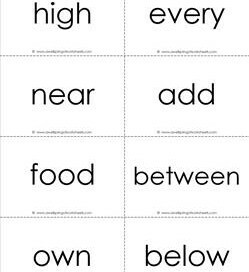 Go to this page to see more third grade sight words resources. 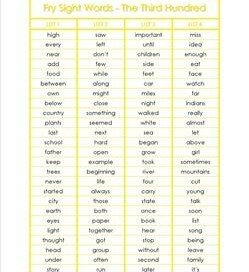 This Fry list – the third 100 comes in bright yellow and is appropriate for third grade. Four columns of 25 words each divides the sight words into more manageable lists. 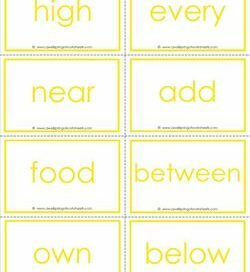 This Fry sight word assessment sheet for the third 10o Fry words comes in yellow and has a check box for the words that need more practice. This plain Jane set of Fry word flash cards – the third 100 – black and white has 13 pages of flash cards with 8 words per page. For 3rd grade. In bright yellow, this set of fry word flash cards – the third 100 has 14 pages, one cover page, 13 pages of flash cards, 8 words per page. For third grade.